The majority of Muslims (around 90%) belong to this moderate sect. 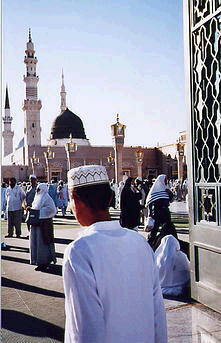 The word sunni refers to the practice of Muhammad. They look to Muhammad’s example if situations arise which are not able to be clarified within the Qur’an. They are a more fundamental group than the Sunnis. They rejected the first three caliphs (successors to Muhammad) and followed Ali who married the prophet’s daughter and was the first leader of this party. After Ali there were 12 Imams whom they followed. The last Imam disappeared in 940 and will return at the end of the world. They claim that they are the true followers of Islam. The Shi’a faith is the state religion in Iran. They are the mystic sect of Islam. They seek a personal relationship with Allah and do not believe in a rigid interpretation of the Qur’an.